Oracle Financials Cloud is a scalable cloud-based accounting and financial management software. 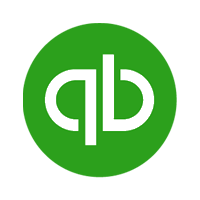 It provides users with solutions to manage and streamline their accounting, reporting, and financial business processes. In this article, we cover user reviews and pricing. Ready to try Oracle Financials Cloud? Get a free trial. Users who gave Oracle Financials Cloud a positive review commented that its interface is user-friendly and looks very modern. Several others like that it is cloud-based and can be accessed across various devices. One user who left a positive review of Oracle Financials Cloud on Capterra said that he enjoys using it since it is a cloud-based platform. He added that its interface is easy to use and is flexible enough to allow customization. 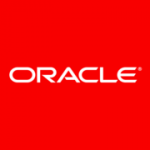 Users who gave Oracle Financials Cloud a negative review mentioned that its pricing scheme is very expensive. Others complained about experiencing slow load times and system glitches. One user who left a negative review of Oracle Financials Cloud G2 Crowd said that he often experiences system issues, such as lag times and software bugs. He added that despite contacting the support team to fix the glitches, some of the problems remain unsolved. Oracle Financials Cloud offers two paid subscription options: Financials ($600/user/month) and Revenue Management ($650/user/month). Financials is made for users who need a tool for accounts payable and accounts receivable general ledger, and more; while Revenue Management caters to users who require solutions for tracking revenue. Both require a minimum of 10 users. Ready to try Oracle Financials Cloud? Get a free trial. Can Oracle Financials Cloud handle expense management? Yes, Oracle Financials Cloud has an online solution that enables users to create and submit expense reports. However, it is not included in their Financials plan and its pricing is available only upon request. What are the differences between its Financials and Revenue Management solutions? Financials includes features such as general ledger, assets, cash management, and financial reporting. 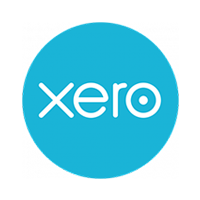 However, it does not include automated invoice processing and advanced collection. On the other hand, Revenue Management enables users to create contracts and performance obligations, automatically allocate and recognize revenue, and accrue liabilities and assets. Not sure if Oracle Financials Cloud is the right fit for you? Read our reviews of all top accounting software providers or check out one of these three Oracle Financials Cloud competitors.